Last weekend Dan and I slipped in one final adventure for 2012, we had a sneaky weekend in Copenhagen. We got very cheap flights on Easyjet (where else) and found a lovely hotel, our room was all white and up in the rafters (a bloggers ideal). As usual the weekend crept up on us and we hadn't done much prep so on our first day we opened our guide book, wrapped up warm and wandered the city - this has become my favourite way to explore a new place. As far as I can say there aren't any major sights that you must see; the city had so many stylish people and such a "cool" atmosphere people watching and nipping into cafe's for hot chocolates was definitely my must do activity. 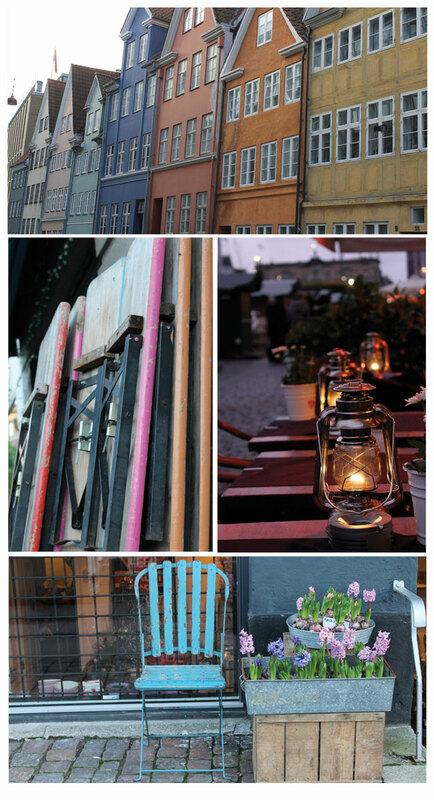 Normally I avoid anywhere which is cold but Copenhagen was so cosy, you could still sit outside under blankets and heaters and everything looked so inviting with lanterns in every window. The only downside to all this cosiness it the cost, it is extremely expensive (around £5) for a coffee but everything is extremely good quality so its (kind of) justifiable. 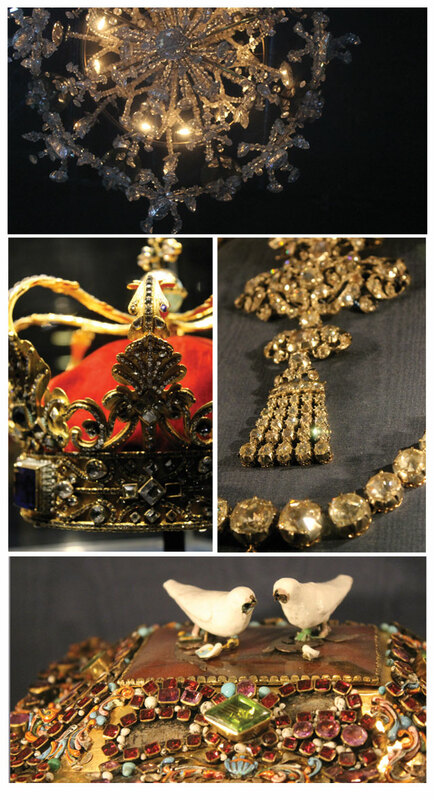 There are many a palace in the City, feeling like we should see something cultural we visited Rosenburg Slot which housed the crown jewels. The Castle is small but perfectly formed (and had amazing chandeliers) and the jewels where something else, the diamonds we so so big I had my face up against the glass trying to get the best look I could (Dan had walked away at this point!). 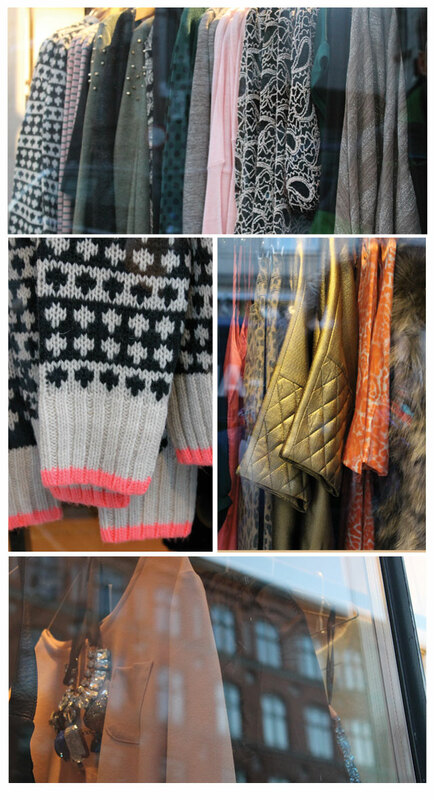 I would go Copenhagen again just for the shopping, its incredible! Expensive, yes but everything is just so damn nice. My favourite shops were on Instedgade (not the station end) luckily for my credit card they were closed so I took photo's instead. These are my dream windows; sequins, metallic, pinks, grey, gold, leopard, coral and (fake) fur - I want it all! I throughly recommend a visit to Copenhagen, its a perfect for strolling and soaking up a bit of style. I can't wait to make a return visit. Looks amazing. Will definitely need to plan a trip. You should, spring would be really pretty.